The Lateran Synod of 649 was a major event in the ‘monothelete’ controversy of the seventh century over ‘wills’ and ‘operations’ in Christ. It represented a determined attempt by the papacy to frustrate and reverse the ecclesiastical policy of the emperor and patriarch at Constantinople. It represented the boldest challenge to imperial authority by churchmen that late antiquity had seen. The theology adopted by the synod and its expression in a series of speeches was the work of a team of Greek monks under the leadership of St Maximus the Confessor. 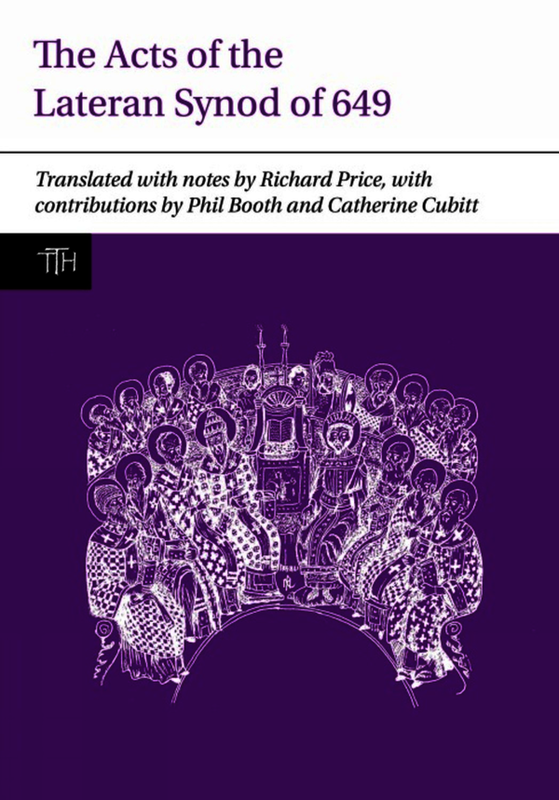 This translation will add to the still limited body of material available in English for the study of a writer who is widely held to have been the greatest of all Byzantine theologians. The Acts of the synod have been a major puzzle ever since their editor, Rudolf Riedinger, demonstrated that the Greek version, not the Latin, is the original, even though the council must have conducted its business in Latin. This edition offers a new explanation of this anomaly, which restores authenticity to the synodal sessions, without denying that the Acts, as published, were not a straight factual record but propaganda intended to convince the Roman world of the orthodoxy and authority of the papacy. Richard Price is Professor of the History of Christianity, Heythrop College, University of London. His many previous publications include The Acts of the Council of Chalcedon, The Acts of the Lateran Synod of 649 and The Acts of the Council of Constantinople of 553. Phil Booth is Leventis Lecturer in Eastern Christianity at the University of Oxford. Catherine Cubitt is Professor in Early Medieval History at the University of York.